At this time, SAFE Bunbury are unable to offer interstate adoptions. If you require this option please explore our other SAFE locations to find your new best friend. SAFE relies on the generosity of the community to operate our service. If you would like to become a Foster Carer, volunteer, help us financially or donate pet supplies, please contact us or visit our website for more details. Please ask us for more information on arranging sterilisation of your pet if you live outside the Bunbury area. Meet gorgeous young Ferdy! 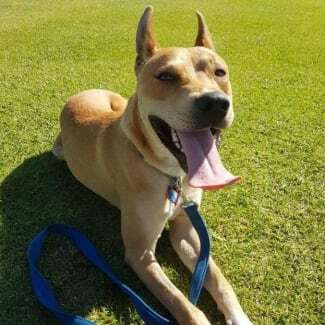 Ferdy is a typical Kelpie/working type dog with lots of energy who loves exercise, keeping busy, runs, walks, playtimes and being around people. He would make a great jogging buddy and loves the beach, but he definitely needs an active home where his legs as well as his brain will get used. He is clever and figured out his 'food mazes' very quickly. He could use some ongoing training but with his eagerness and love of food he will be a good learner, we feel!! Ferdy has been social and interested in the dogs he has met since being in our care. As a young dog he can be a little brash when meeting new dogs but hopefully when he is socialised regularly with lots of new dogs on walks etc, he will learn to be polite. Ferdy would be a great dog to take to obedience classes with the double whammy of the training and also meeting lots of new doggy friends and learning good manners. He may be rather bouncy/energetic for a home with small children but he has a nice friendly nature. Ferdy is house trained and enjoys spending time inside with his people. He is most likely not suited to a life of being alone in the yard while his family are out all day; he is too smart and active. He thrives on stimulation and company so if someone in your household is home a lot, that would suit Ferdy perfectly. Plenty of walks and enrichment toys will help when his owners can't be around. Ferdy has not yet met cats or other animals. With his working type nature we feel he might be a herder and not suitable to cats or other small fluffy animals. Ferdy is a really great boy with lots of potential. If you have the right home to offer him the chance to bloom, please let us know! MEDICAL NOTES Adoption fee includes vet check with flea and worm treatment, vaccination, microchip (including transfer of ownership) and sterilisation. The fee does not include heartworm treatment. ADOPTION NOTES Adoption Fee - $465 Ferdy is ready for meets and will be able to leave our care on 18/4. 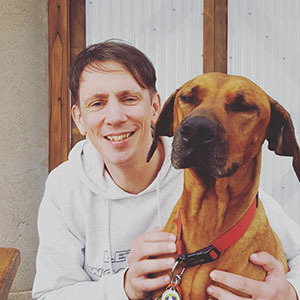 Our adoption process includes a meet and greet with your family (including your dog if you have another already), a property check and a two week trial period to ensure your chosen dog is the right fit for your home. All adoption fees must be deposited into our SAFE Bunbury bank account in full before adoption trial starts. Please speak to the foster carer for our bank details (we cannot accept cash). SAFE Bunbury will arrange transfer of ownership on your pet's microchip from SAFE's details to yours once the trial period is completed. This lovable girl is Calais. Calais is a wonderful dog who is just a smooch with her people. She adores everyone young and old and her aim in life is to be a lap dog! 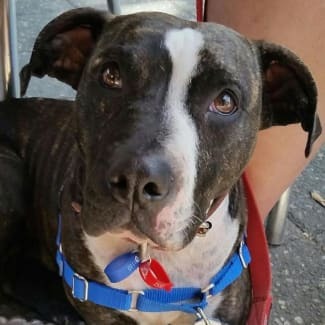 She currently likes to follow her foster family around closely, but with a little time and patience we are sure she will gain more confidence and learn she doesn't always have to be so close by. She's house trained and likes spending time indoors with her family although will also sleep in the garage at night time. Calais aims to please and has such a loving nature. Great with the family kids. Calais is very good on lead, knows basic commands such as sit and shakes a paw. She can jump quite high so good fencing is required, although she is not a known escape artist. She prefers a home where someone is home for company for some part of each day. Good in the car and a very alert dog. Calais has clearly not been very well socialised with other dogs so is not really a fan of sharing space with them,and will be happiest as the only dog in the household. When out walking on lead she will react to other dogs, however is happy to pass by as long as they don't get too close and into her space. She is very responsive to voice commands so will obey pretty well when asked to walk on and ignore the other dog. Otherwise she walks great when walked in a quiet or low dog traffic area. She is not cat tolerant, however she is in a foster home with a pet bird who she is fine with. Calais really is a super sweet and affectionate girl who just needs the right home to allow her to blossom. MEDICAL NOTES Adoption fee includes vet check with flea and worm treatment, vaccination, microchip (including transfer of ownership) and sterilisation. The fee does not include heartworm treatment. ADOPTION NOTES Adoption Fee - $465 Our adoption process includes a meet and greet with your family (including your dog if you have another already), a property check and a two week trial period to ensure your chosen dog is the right fit for your home. All adoption fees must be deposited into our SAFE Bunbury bank account in full before adoption trial starts. Please speak to the foster carer for our bank details (we cannot accept cash). SAFE Bunbury will arrange transfer of ownership on your pet's microchip from SAFE's details to yours once the trial period is completed. Adoption fee - $265 Meet Archie. This little ball of fluff is so handsome. He adores playing with his siblings and digging in the garden in his carers enclosed area. He is a very calm and cuddly boy and loves attention and knee time. He is fine with children and adult cats. **Medical notes** Adoption fee includes vet check, 1 F3 vaccination*, flea and worm treatment, microchip including microchip transfer of ownership, and sterilisation at a SAFE approved vet at 6 months of age. *This kitten will require 2 further vaccinations at the cost of the new owner. These are due at 12 weeks and 14 weeks of age. They are not included in the adoption fee. **Adoption details** For an obligation-free meet and greet, please send through an enquiry. Our adoption process includes a two week trial period to ensure your chosen pet is the right fit for your home. All adoption fees must be deposited into our SAFE Bunbury bank account in full before adoption trial starts. Please speak to the foster carer for our bank details (we cannot accept cash). SAFE Bunbury will arrange transfer of ownership on your pet's microchip from SAFE's details to yours once the trial period is completed. If adopting a pet under 6 months old, one of the following approved vet clinics should be selected to arrange sterilisation of the animal by the age of 6 months. 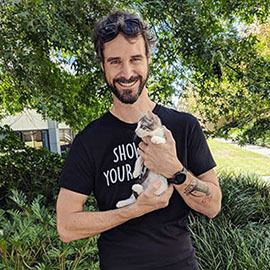 This is included in the adoption fee: Blair Street Veterinary Hospital, Bunbury - 9721 6778 Busselton Veterinary Hospital, Busselton - 9752 1433 Ninth Street Vet Clinic, Harvey - 9729 1915 Halls Head Small Animal Clinic, Halls Head - 9581 1012 Swan Veterinary Hospital, Midvale - 9274 1845 Ocean Keys Vet, Clarkson - 9408 6999 South Metropolitan TAFE Vet Clinic, Bentley - 9267 7125 Kingsley Veterinary Hospital, Kingsley - 9409 6855 Please ask us for more information on arranging sterilisation of your pet if you live outside the Bunbury area. 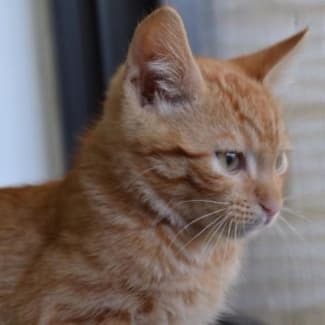 Adoption fee - $265 Meet Weasley, he is a gorgeous little boy that loves to have a snuggle in front of the Telly at night. He also loves to play with all sorts of toys especially ping pong balls. Weasley gets on very well with all of his foster brothers and sisters and would make a lovely addition to any family. **Medical notes** Adoption fee includes vet check, 1 F3 vaccination*, flea and worm treatment, microchip including microchip transfer of ownership, and sterilisation at a SAFE approved vet at 6 months of age. *This kitten will require 2 further vaccinations at the cost of the new owner. These are due at 12 weeks and 14 weeks of age. They are not included in the adoption fee. **Adoption details** For an obligation-free meet and greet, please send through an enquiry. Our adoption process includes a two week trial period to ensure your chosen pet is the right fit for your home. All adoption fees must be deposited into our SAFE Bunbury bank account in full before adoption trial starts. Please speak to the foster carer for our bank details (we cannot accept cash). SAFE Bunbury will arrange transfer of ownership on your pet's microchip from SAFE's details to yours once the trial period is completed. If adopting a pet under 6 months old, one of the following approved vet clinics should be selected to arrange sterilisation of the animal by the age of 6 months. This is included in the adoption fee: Blair Street Veterinary Hospital, Bunbury - 9721 6778 Busselton Veterinary Hospital, Busselton - 9752 1433 Ninth Street Vet Clinic, Harvey - 9729 1915 Halls Head Small Animal Clinic, Halls Head - 9581 1012 Swan Veterinary Hospital, Midvale - 9274 1845 Ocean Keys Vet, Clarkson - 9408 6999 South Metropolitan TAFE Vet Clinic, Bentley - 9267 7125 Kingsley Veterinary Hospital, Kingsley - 9409 6855 Please ask us for more information on arranging sterilisation of your pet if you live outside the Bunbury area. Adoption fee - $265 Valentine is a beautiful smoochy girl. She loves attention, loves cuddles and falling asleep at your feet. 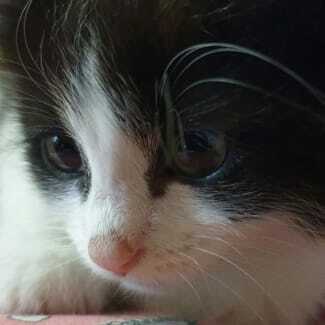 She is very playful, loves to lie on her foster carer's daughter's shoulder and watch her play piano. She lives with other kittens, cats and dogs and they all get along well together. She will be a wonderful addition to any home. 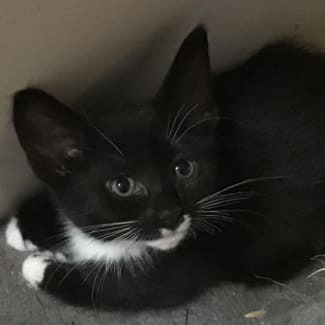 **Medical notes** Adoption fee includes vet check, 1 F3 vaccination*, flea and worm treatment, microchip including microchip transfer of ownership, and sterilisation at a SAFE approved vet at 6 months of age. *This kitten will require 2 further vaccinations at the cost of the new owner. These are due at 12 weeks and 14 weeks of age. They are not included in the adoption fee. **Adoption details** For an obligation-free meet and greet, please send through an enquiry. Our adoption process includes a two week trial period to ensure your chosen pet is the right fit for your home. All adoption fees must be deposited into our SAFE Bunbury bank account in full before adoption trial starts. Please speak to the foster carer for our bank details (we cannot accept cash). SAFE Bunbury will arrange transfer of ownership on your pet's microchip from SAFE's details to yours once the trial period is completed. If adopting a pet under 6 months old, one of the following approved vet clinics should be selected to arrange sterilisation of the animal by the age of 6 months. This is included in the adoption fee: Blair Street Veterinary Hospital, Bunbury - 9721 6778 Busselton Veterinary Hospital, Busselton - 9752 1433 Ninth Street Vet Clinic, Harvey - 9729 1915 Halls Head Small Animal Clinic, Halls Head - 9581 1012 Swan Veterinary Hospital, Midvale - 9274 1845 Ocean Keys Vet, Clarkson - 9408 6999 South Metropolitan TAFE Vet Clinic, Bentley - 9267 7125 Kingsley Veterinary Hospital, Kingsley - 9409 6855 Please ask us for more information on arranging sterilisation of your pet if you live outside the Bunbury area.